Communicable diseases can be transmitted from person to person or from animal to person. The Lane County Public Health (LCPH) Communicable Disease section serves to prevent and control the spread of communicable diseases through investigation, providing immunizations, education and treatment. Flu season is here! Check out the CDC recommendations on getting flu shots for your family. According to the CDC (Center for Disease Control) and Oregon Health Authority, flu vaccines prevent hospitalizations and help save lives. 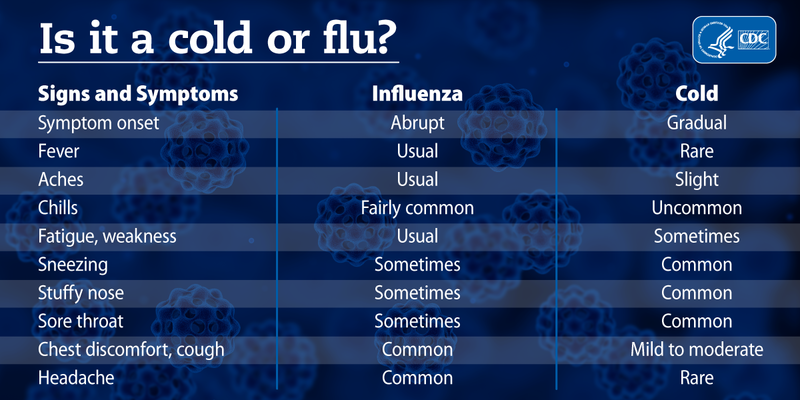 Click to read about cold vs. flu symptoms at the Center for Disease Control website or schedule an appointment for a flu vaccine with Lane County Public Health. The Oregon Health Authority website is a great resource for the most up to date information about measles cases in Oregon, including cases linked to the current Clark County Outbreak. It includes the most recent exposure locations, frequently asked questions, and resources for the public, healthcare providers, and school and childcare facilities. Click for current information on the Clark County Outbreak.